Highland has several riding zones that can be accessed without the chairlift. 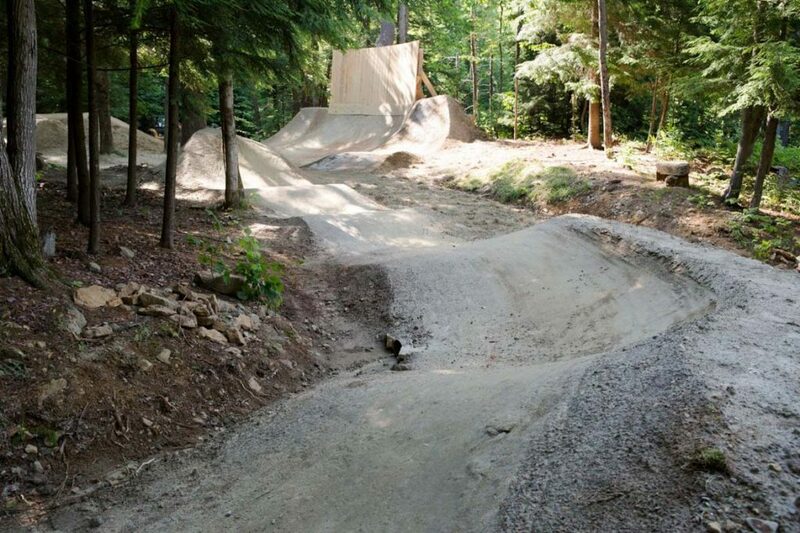 Scattered around the base area are two dirt jump parks (Upper & Lower Sherwood), two skills parks (Central Park & Park Ready Zone), the Ayr Bag and the Slopestyle Course. 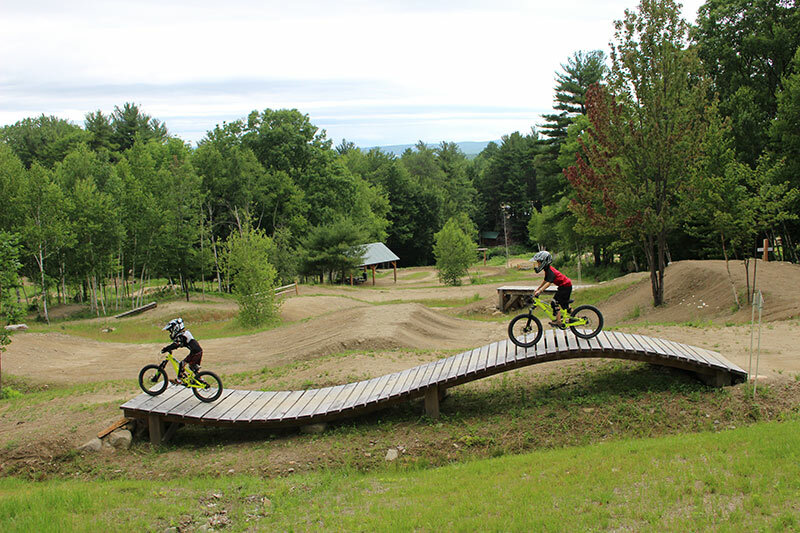 Upper Sherwood has everything from beginner to advanced jumps including a pump track, little tabletops and large gap jumps. Lower Sherwood has two jump lines: a smaller line and a medium line. Both include a wallride at the end. Central Park is a two acre skills park. There you can learn many skills that translate all over the mountain. It features progression drops and table tops as well as mini features mimicking the larger ones on our flagship trails. – Central Park, Upper & Lower Sherwood, Slopestyle Course, Ayr Bag and one HTC session.